Is it just me, or is everyone in the process of decluttering at the moment? I blame the new Netflix series Tidying Up with Marie Kondo for this resurgence of decluttering (originally made popular by Kondo's 2014 book, The Life-Changing Magic of Tidying Up; Ten Speed Press, $16.99). Which is not to say I'm not a fan of decluttering; on the contrary, it has me thinking about how to stick to the goal of a more minimalist lifestyle after the original clearing out. In Goodbye, Things (Norton, $21.95), Japanese editor Fumio Sasaki recounts his experiences getting rid of nearly everything he owned (including his bed). In Year of Less (Hay House, $15.99), finance blogger Cait Flanders documents her one-year experiment with not shopping for anything beyond the absolute essentials (like groceries). Both accounts are drastic, but can provide inspiration for any reader desperate to declutter (even if not to such extremes). Glenn Adamson's Fewer, Better Things (Bloomsbury, $27) drives home a similar lesson using a different approach. Adamson encourages readers to reconsider things themselves: their purpose, their craftsmanship, their use. Perhaps more meaningful connections to the things we choose to keep will remind us that there is more to life than the number of things we have. In 13 well-researched and moving essays, a deeply insightful and empathetic writer attempts to make sense of her diagnosis of schizoaffective disorder. For readers of any age, Shaun Tan's wondrous picture book Cicada highlights the all-too-familiar treatment of seemingly expendable, undervalued foreign workers. A black father takes desperate measures to protect his son from racism in this hard-hitting speculative novel. Merriam-Webster posed a "challenging vocab quiz," featuring 14 formidable words. Mental Floss examined "10 fascinating facts about the Thesaurus." Good Morning America checked out an elementary school that "fills their vending machine with books instead of candy." "Found: A 13th-century tale of Merlin and Arthur, reused as bookbinding," Atlas Obscura reported. Illustrator Tom Gauld "on the dark side of the poetry boom." 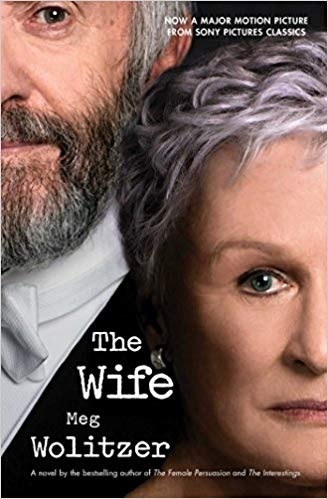 The film adaptation of Meg Wolitzer's The Wife is earning Oscar buzz. Glenn Close, starring as the titular spouse, won the Golden Globe for Best Actress in a Motion Picture--Drama and is nominated for the Academy Award for Best Actress. Close plays Joan Castleman, wife of Joseph Castleman (Jonathan Pryce), a famous author on the cusp of receiving the Nobel Prize for Literature (called the Helsinki Prize in the book). The elderly couple fly to Stockholm, where Joan appears distinctly displeased by her husband's award--much to the interest of scandal-hound biographer Nathaniel Bone (Christian Slater). Bone believes Joan has ghostwritten some of her husband's work, though the truth proves far more shocking. After 13 years as a journalist, Jane Harper wrote a short story that was one of 12 chosen for publication in the Australian magazine Big Issue. 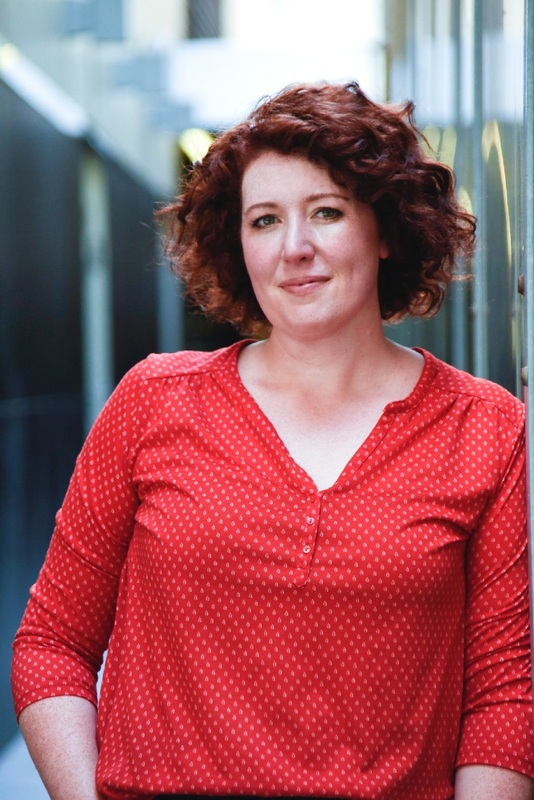 It inspired her shift to creative writing, and the manuscript for her first novel, The Dry, won the Victorian Premier's Literary Award in 2015. Her novels are now published in more than 35 territories worldwide. Like her previous books, her third mystery, The Lost Man (Flatiron, $27.99; see our review below), is set in Australia, where she lives with her family. Your setting, characters and plotlines are equally indelible elements. Which do you come up with first, or is it different for each book? All three evolve constantly while the novel does, so it's hard to say which comes first. I always know how the novel will end; often that's clearer to me than how it will start. It's also important to me that the setting is more than just a backdrop, so I aim to weave it in throughout the story and use it to help shape characters and their actions. When I start to plan a novel, I always have an idea of who I think the characters are, but by the end they have often grown in different ways than I expected. I get to know them better through the writing, and they become clearer and clearer to me. What keeps drawing you back to the remote Australian terrain? The Australian landscape is such a gift for a writer. It has a strong presence and offers incredible variety. While I was planning The Lost Man, I became fascinated by the lives of those in far-flung outback communities. I was particularly interested in the way the relative isolation impacts people's day-to-day lives, and I thought a remote cattle station in the outback offered a beautiful--and brutal--backdrop for a story with a strong element of suspense. The stockman's grave and its legends cast long shadows over the proceedings in The Lost Man. Are they based on real-life stories? The stockman's grave itself is fictional, but it's inspired by real-life "lonely graves" that can be seen peppered around the outback. I learned about them during my research for the novel, and the image of a single grave in the middle of nowhere marking the end of a life was something that stayed with me. The Lost Man deals with topical themes such as mental health problems in isolated areas. Was there a conscious effort to address that? My books are always character driven, and a big part of that is considering what issues they would realistically be facing and the impact on their lives. I want the characters and the scenarios to feel real, so I try to capture the various pressures people are under and present them in a way that is believable and recognizable to readers. What interesting details did you discover in your research that didn't make it into the book? Researching The Lost Man was an absolute joy, and I've tried to include all the best bits in the book! I wanted the outback community to feel really authentic, so I spent months learning about the area before I started writing. I spoke to dozens of people and read widely around the subject, then traveled to outback Queensland to do on-the-ground research. While there, I spent time with a retired cop called Neale McShane, who single-handedly policed an area the size of the U.K. for 10 years. He and I drove 900 kilometers together across the outback while he provided incredible insight into life in that part of Australia. I spoke to locals about their lives in a remote community, and they shared their experiences of everything from childbirth to long-range radio maintenance. I didn't draw directly on any of the personal stories that were shared with me, but instead tried to capture the emotions involved and give readers an appreciation of the unique challenges people face. You've said your journalism experience taught you to write for the reader instead of yourself. The reader is my top consideration when I'm writing. I always write the kinds of books I would like to read, but it's so important to be considerate of the audience and offer readers the right mix of information, interest and entertainment to make the book an enjoyable experience for them. What are you working on, and where is the story set? The racist world created in Maurice Carlos Ruffin's provocative near-future novel We Cast a Shadow is disturbing but not far-fetched. The novel is narrated by an unnamed black father who lives in an unnamed city in the American South. Though in the recent past race relations appeared to be improving, things have deteriorated quickly between the city's poor black inhabitants and its more affluent white majority. The father is a lawyer who is married to an activist white woman named Penny. They have a young biracial son named Nigel. The racism here operates on many levels. The little things add up. The narrator is mistaken for waitstaff, even a mugger. His coworkers of color are obsessed with whiteness, getting plastic surgery to change their noses and lighten their skin. The narrator is added to his law firm's diversity committee after beating out other black candidates in an outlandishly racist competition. The more speculative yet still realistic aspects of the book include a dreadlock ordinance that allows police to cut off the dreads of African-Americans, intrusive police patrols wherever black people have moved into the white suburbs and even deportation of some black people. Discover: A black father takes desperate measures to protect his son from racism in this hard-hitting speculative novel. 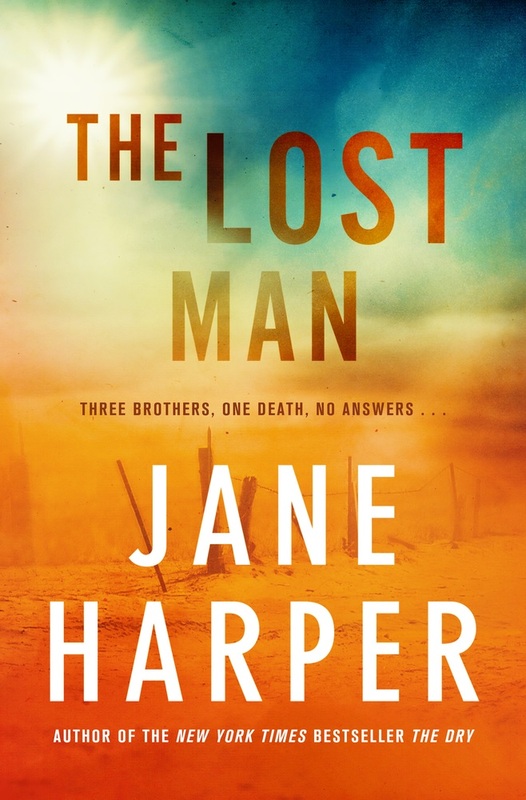 Jane Harper's The Lost Man (The Dry, Force of Nature), her third novel and first standalone, opens with a mesmerizing description of a lone headstone marking the grave of a stockman in Australia's desolate outback. A bit of history is provided about the person supposedly buried there, before Harper moves in for a closer look that puts a chill in the desert heat: there are fresh scrapes in the dust surrounding the headstone. They were made by Cameron Bright, a local resident whose body has just been found there. It's clear from the marks the man did not die peacefully, having dragged himself around the headstone, chasing the tiny shade it provides from the punishing sun. "The circle in the dust fell just short of one full revolution. Just short of twenty-four hours." Discover: A man investigates his brother's death under mysterious circumstances in the Australian outback. Olivia Givens, narrator of The Eulogist, remembers life on the Ohio-Kentucky border in the pre-Civil War years. Terry Gamble's third novel (after Good Family and The Water Dancers) spans most of the 19th century and presents a bleak picture both of the reality awaiting hopeful immigrants and the brutal fate of Africans, enslaved or free. Livvie begins her tale at age 86, recalling the poverty that compelled her parents and their three children to leave northern Ireland for a perilous crossing and a fresh start in Cincinnati, "the Queen of the West." In 1819, the city was a "mosquito infested backwater," and the Givenses' luck plummeted further there. Soon the children are on their own, and The Eulogist follows the family members' intertwined lives. James, the cerebral one, builds a successful candle-making and marketing business. Erasmus, the attention-seeker, takes up preaching. His self-indulgences thwart his efforts, but his evangelism is popular and creates opportunities. As a woman, Livvie has limited choices, but her strengths and defiance of tradition are critical to her brothers' survival. And, despite their differences, the three take roles in the abolitionist movement, using their means, wit and bravery to bring slaves to Cincinnati and beyond. Discover: In 1819, an Irish immigrant family settles in Cincinnati and struggles to survive poverty and the dangers of life in a border state. In The Golden Tresses of the Dead, the 10th entry of the Flavia de Luce series, the 12-year-old sleuth and chemistry wunderkind is beginning anew. She and Dogger, her father's former butler, have set up a private detective agency together: Arthur W. Dogger and Associates. Dogger's name goes first since Flavia is still a child and many people don't take her investigative abilities seriously. Still, the agents rapidly become involved in multiple cases. First, at the wedding of Ophelia, Flavia's sister, when a human finger is found in the wedding cake. Next, an odd woman named Mrs. Prill, heir to the Brocken's Balsamic Electuary fortune, hires Dogger and Flavia to find some missing letters. But there's something strange in how Mrs. Prill speaks of her father, a famous homeopathic doctor, and it sends Flavia and Dogger off to meet with him at his nursing home. Along the way, they find clues to the source of the finger found in Ophelia's wedding cake. With his usual understated style, Alan Bradley (The Grave's a Fine and Private Place, The Sweetness at the Bottom of the Pie) has created an engaging mystery that keeps Flavia too busy to think much about recent events in her life, including her pesky cousin Undine's arrival. Instead, she is up to her usual tricks, using chemistry to analyze the finger along with a surprising variety of mysterious substances. The chemical details, quaint English village traditions and midcentury charm all add up to make The Golden Tresses of the Dead a delightful novel. --Jessica Howard, bookseller at Bookmans, Tucson, Ariz. Discover: Flavia de Luce, a chemistry prodigy, uses her talents to help solve the unnerving case of a human finger found in her sister's wedding cake. Who took two-year-old Sammy Went? And now, 30 years later, could she still be alive? These are the questions that drive Australian author Christian White's propulsive debut novel, The Nowhere Child. This gripping mystery moves back and forth in time: between 1990, when Sammy Went was kidnapped from her home in Manson, Ky., and the present day, when Kimberly Leamy, living in Melbourne, Australia, learns she may actually be Sammy. That revelation comes from James, a grown man claiming to be Sammy's brother, who tracks down Kim after decades of searching for his lost little sister. From there, the novel unfolds in a number of unpredictable twists and turns. Kim embarks on a geographical and psychological journey as she investigates her family history and uncovers disturbing facts that bring her to Kentucky. White is a sparse but talented writer, his sharp lines cutting the page like knives. With few details he paints vivid scenes: "Ellis squinted into the dark of the house. A small woman stepped outside and into the light, can of beer in one hand, cigarette in the other." Sometimes his scenes are so striking they read like frames from a movie, which makes sense, because White is also a screenwriter working on the television series Carnivores with Matchbox Pictures. Discover: In this smart debut mystery, a woman living in Melbourne, Australia, discovers she may have been abducted from Kentucky almost 30 years earlier in this smart debut mystery. Fans of A.J. Finn's The Woman in the Window and Gillian Finn's Gone Girl will delight in discovering E.G. Scott's The Woman Inside. It is a delectably devious and riveting entry in the genre of twisty mysteries with unreliable first-person narrators. The Woman Inside has a handful of narrators, all offering compelling but conflicting tales. From the outside, Paul and Rebecca have an ideal marriage and happy home in a wealthy area of Long Island, N.Y. But both are hiding secrets from each other. Rebecca, a wildly successful pharmaceutical sales rep, is addicted to opioids. And she's beginning to suspect that Paul (who has just lost his job) is having an affair. Is the other woman Rebecca's boss's wife or their unstable and unhappily married next-door neighbor? It's hard to keep secrets when both Rebecca and Paul are inveterate liars. When someone ends up dead, the two have to join forces to bury the body. But when the grave is later discovered, it contains a different body. From there, the twists keep coming. Even mystery fans who pride themselves on figuring out twists in advance will find themselves on a virtual roller-coaster of sharp turns and surprise reveals that keep coming until the final chapter. Discover: With multiple unreliable narrators, mystery fans will have a sensational time trying to stay one step ahead of The Woman Inside. Journey King excels in her position as COO of her family's company, Kingdom Corp, managing complex day-to-day operations while wearing killer heels. Frank Evans is no stranger to contract negotiations, business mergers and hostile takeovers as the successful former underdog who now owns half the city. In The Fearless King, the second book in the Kings series by RITA finalist Katee Roberts, they may enjoy each other as friendly eye candy, but can't forget they are competitors for status and information in the cutthroat business world. That is, until Journey's father, Elliott, waltzes back into Houston with a plan to destroy Kingdom Corp from the inside out, and she turns to the only outside source she can trust for help. Though Journey's worked hard to put her abusive childhood behind her, one meeting with her father leaves her a quivering mess. Getting the protection she needs means she needs Frank, the king of information. Both underestimated and dismissed--Frank due to his race, Journey due to her gender--they join forces in a negotiation neither expected. When Frank pretends to be Journey's boyfriend to get close to the company, the two discover they have more in common than just finding out what Elliott is up to. As things heat up, where does the pretending end and true feelings begin, and can they figure it all out while coming up with a counter-strategy to save Kingdom Corp before it's too late? --BrocheAroe Fabian, owner, River Dog Book Co., Beaver Dam, Wis. Discover: Two business rivals, matched in wits, passion and emotional scars, must let down their guards and trust each other in order to save one's company. In 2015, Georgia Blain (Between a Wolf and a Dog) was diagnosed with a tumor in the language center of her brain. The Museum of Words is her memoir of the time after, as she comes to terms with her own mortality and the off-balance feeling of struggling with words, when writing was both her career and her identity. "I felt as though my speech was impaired to the same extent as if I were trying to dress myself with one hand tied around my back," she writes. Meanwhile, Blain watches two other writers who were close to her lose their grip on words--her mother, Anne, who suffers from Alzheimer's, and her friend Rosie, who endures the same type of glioblastoma as Blain's. She looks to these women, as well as her daughter, to contemplate how language functions in their lives as writers, readers, travelers and children. Discover: A posthumous memoir in which a novelist with a brain tumor mourns the end of her life and the loss of her mastery of words. In Fraternity: An Inside Look at a Year of College Boys Becoming Men, investigative journalist Alexandra Robbins (Pledged: The Secret Life of Sororities) interviews students across the spectrum of Greek life. Her goal is to demystify these secretive communities that often dominate social life on college campuses. The stories of two students in particular, Oliver and Jake, showcase the merits and pitfalls of fraternity membership. Oliver is chapter president of Phi Epsilon. His experience as a leader and fraternity brother helps him learn what sort of man he wants to be and how he stacks up against the traditional understanding of masculinity. Jake, a freshman undergoing a grueling pledge process at Zeta Kappa, craves the social bonding of brotherhood but struggles with aspects that are less desirable to him: the forced drinking, the constant partying and the time he has to spend away from his studies to prove his commitment to the house. Fraternities are about so much more than drinking and partying, but usually that's all that makes the news. In Fraternity, readers may learn for the first time about Greek chapters that offer safe spaces for those who don't fall into male stereotypes and others that focus on serving minorities and members of the LGBTQ community. These communities promote genuine friendship and self-acceptance; they teach communication skills and encourage emotional sharing. Ideally, the right fraternity fit will bring out the best in a college student, creating strong real-life bonds in place of tenuous digital friendships. Discover: A riveting read for anyone curious to know why such a large percentage of male college students want to participate in Greek life. Esmé Weijun Wang, author of the novel The Border of Paradise, was diagnosed with bipolar-type schizoaffective disorder in 2013. This diagnosis, which replaced her longtime diagnosis of bipolar disorder, explained the periodic symptoms of psychosis, such as hallucinations and delusions, that she first began experiencing years before as a student at Yale. Wang found some comfort in her diagnosis (it provided "a framework--a community, a lineage"). She also understood--from her own experience and from her years working as a lab researcher at Stanford--that its diagnostic criteria are inadequate in capturing the complexity, contradictions and the lived experience of schizoaffective disorder or another of "the schizophrenias." "To read the DSM-5 definition of my felt experience is to be cast far from the horror of psychosis and unbridled mood; it shrink-wraps the bloody circumstance with objectivity until the words are colorless," Wang writes. The Collected Schizophrenias is Wang's attempt to do what the DSM-5--the "clinical bible" of mental disorders--cannot. In 13 remarkably well-researched, intimately detailed essays, Wang guides readers on a tour of her own psychological and emotional terrain, grounded in the clinical and cultural context that has shaped it. The essays range from the investigative to the meditative to the confessional--most of them all three at once. Wang's search for unity may be elusive. She is many different types of "sick girl," and there are many different "schizophrenias"--but her essay collection organizes the confusion, terror and complexity of her experience into an imperfectly cohesive, profoundly illuminating whole. --Hannah Calkins, writer and editor in Washington, D.C. Discover: In 13 well-researched and moving essays, a deeply insightful and empathetic writer attempts to make sense of her diagnosis of schizoaffective disorder. More than a decade after his bestselling picture book The Arrival was published, Shaun Tan returns to the immigrant experience with Cicada, a darker, sobering story that highlights the all-too-familiar treatment of seemingly expendable, undervalued foreign workers. His antihero is a short, squat green cicada for whom English is clearly not a first language. His gray suit can't disguise his differences in a gray office filled with similarly gray-suited men (and perhaps one woman). He's been a data entry clerk without a single sick day, making no mistakes, staying late to finish his co-workers' tasks, and yet 17 years have passed without a promotion. He's been labeled "not human" by the human resources department, which means he's banned from using the company bathroom; he doesn't make enough to afford rent and lives in a sliver of "office wall space"; and he's bullied, harassed, even kicked to the ground by colleagues. And then Cicada finally retires: "No party. No handshake. Boss say clean desk. Tok Tok Tok!" He abandons his cubicle with nothing to show for his loyal efforts: "No work. No home. No money." Alone, he climbs the building's stairs: "Cicada go to top of tall building. Time to say goodbye. Tok Tok Tok!" But even as all hope appears to be lost, Tan delivers an unexpected zinger of a high-flying ending. Discover: For readers of any age, Shaun Tan's wondrous picture book Cicada highlights the all-too-familiar treatment of seemingly expendable, undervalued foreign workers. For the people of Emberfall, five years have passed since the crowned prince, Lord Vincent Aldrhen, turned 18; for Prince Rhen, it has been decades. "The last... enchantress in Emberfall" cursed him to repeat the same summer, Groundhog Day-style, until he finds love. More than 300 "seasons" have passed, and Rhen has yet to find love, and each has ended with him turning into a murderous beast. It is the beginning of his 327th season and "everything is... the same. Except for the dead. They never come back." Harper lives in D.C. with her mother, who is dying of cancer, and her brother, Jake. Her father disappeared, leaving the family with the kind of debts that get a person killed. Jake plays "bill collector" for the loan sharks and enlists Harper, who has cerebral palsy, to be his lookout. While on lookout, Harper witnesses an apparent abduction. "I can't do nothing," she thinks, before throwing herself at the man. He subdues her and transports her to a new place: Emberfall. Harper--unwilling, angry--is the 327th potential love. Discover: This modern YA take on Beauty and the Beast merges Groundhog Day with werewolf stories and badass princesses.